We do not have any tickets available for our Shared New Years Eve Boat Party on-board M.V Valulla have now sold out. 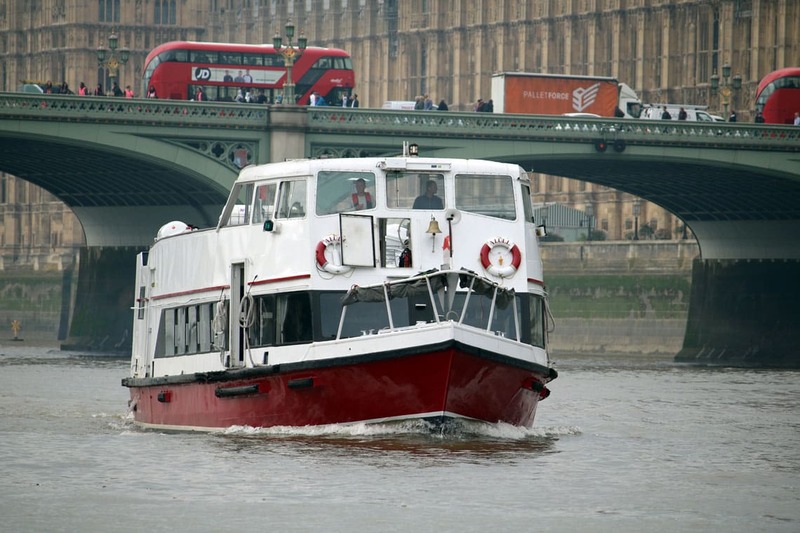 Click here to view our other New Year's Eve Cruises. One of the best places in London to see the fireworks on New Year’s Eve is from a boat on the river Thames. 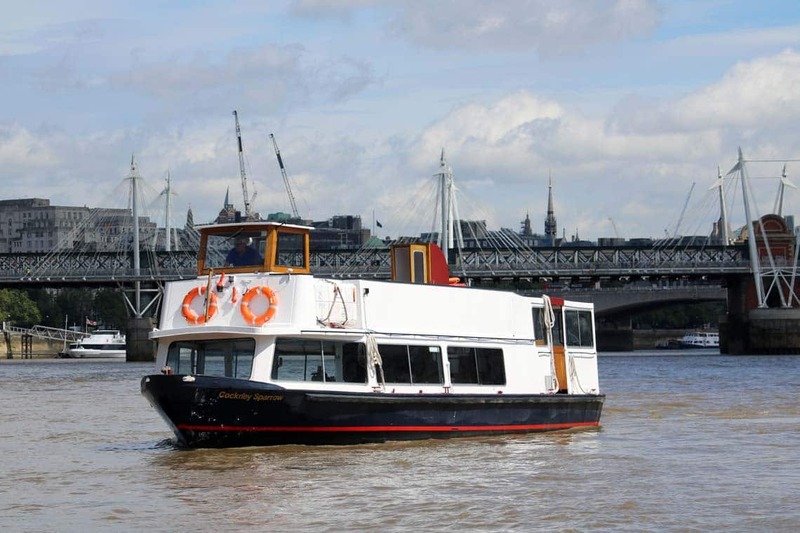 We have numerous shared New Year’s Eve Boat Party Cruises and private charters to choose from. 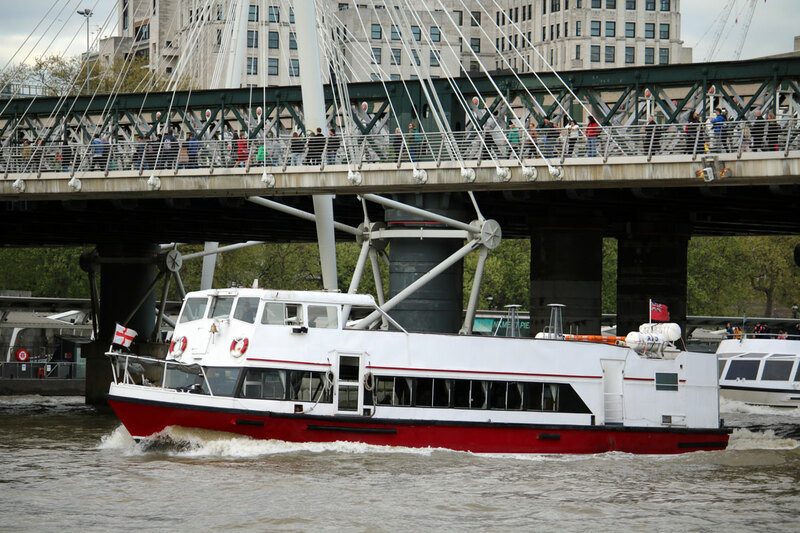 Our 5-hour shared New Year’s Eve boat parties depart from Westminster Pier on-board large Class V passenger boats. All of our shared boat parties are £175 per person and include selected beers, ciders, wines, soft drinks, a cold finger buffet and a disco. The boats will be tastefully decorated with festive decorations and twinkling Christmas lighting creating a warm, welcoming atmosphere on-board. The interior spaces are heated and feature fully licensed bars serving a wide range of free beers, ciders, wines, & soft drinks (spirits, sparkling wine & Champagne are available for purchase). A live DJ will be playing music on the dance floor throughout the evening where you can dance the night away. 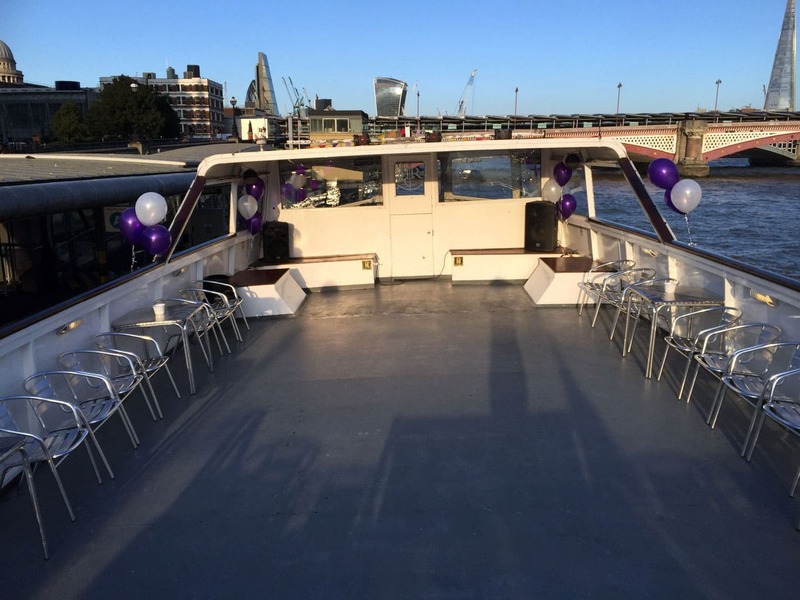 The finger buffet will be served in the saloon where you can relax and take in the sights of Central London’s greatest landmarks as we cruise through the city. At midnight, you can head outside to the open deck to marvel at the midnight firework display and welcome the New Year in style. Valulla is a 2-story vessel with a heated lower saloon and a large open deck. The main saloon is furnished with comfortable chairs and is home to a fully licensed bar. The bar is located at the rear of the saloon and will be serving a wide range of free beers, ciders, wines & soft drinks (spirits, sparkling wine & Champagne are available for purchase). 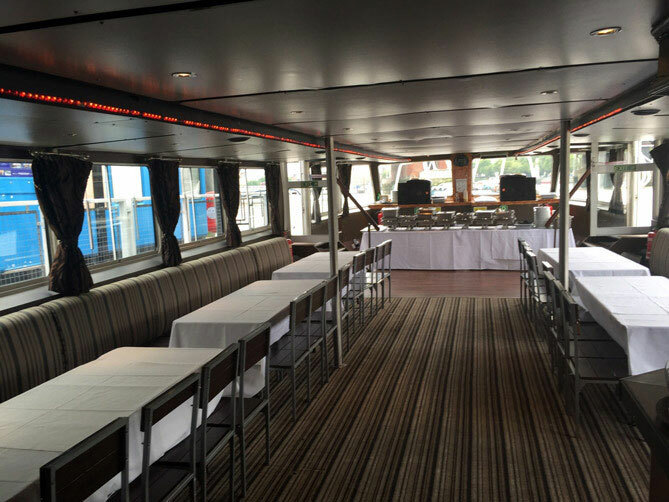 The bar accepts cash and card (minimum spend on card may apply) and drinks can be taken anywhere on board the vessel. The dance floor is located at the front of the lower saloon and the toilet facilities are located at the rear. The large open deck provides outstanding view of the London skyline. A 2-story vessel with a heated saloon. Limited seating in the saloon. Standing space on the large open top deck. Fully licensed bar serving a wide range of free beers, ciders, wines & soft drinks (spirits, sparkling wine & Champagne are available for purchase). Dance floor at the front of the saloon. Toilet facilities at the back of the saloon. 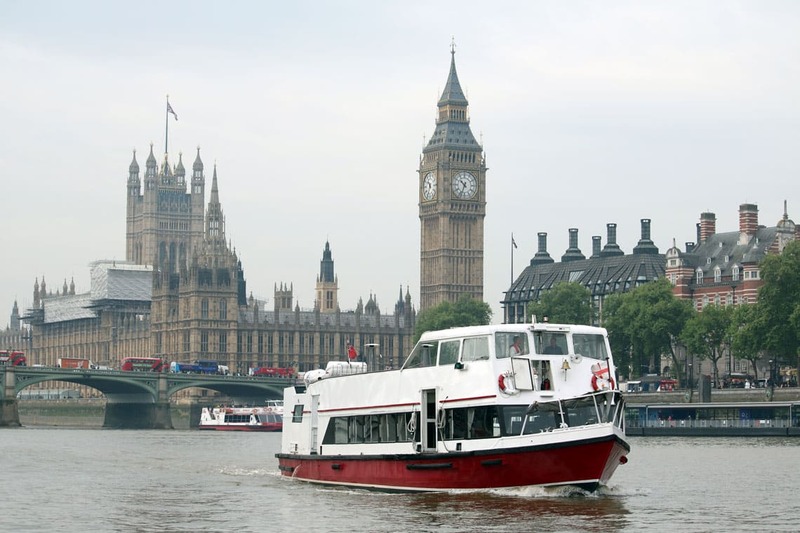 Westminster Pier is situated on the North shore next to Westminster Bridge & the Palace of Westminster. 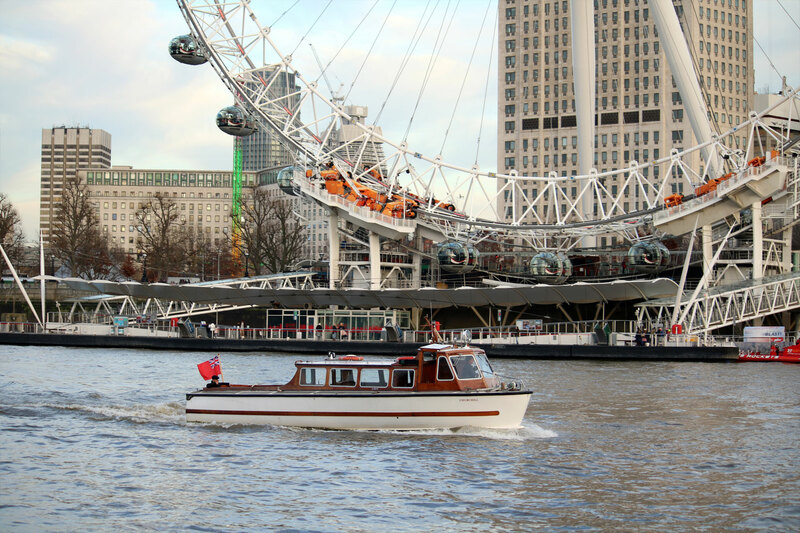 The pier sits directly opposite the London Eye & County Hall providing outstanding views from one of our party boats. 5-hour boat party on-board M.V Valulla. Limited seating in the heated saloon. Selected beers, ciders, wines & soft drinks free from the bar. Festive décor on-board the boat. A live DJ playing music throughout the night. A river view of the midnight firework display. M.V Valulla is owned and operated by Reeds River Cruises. Boarding, Departure & Return Times are ‘approximate’ times and cannot be guaranteed, times can be affected by weather, tides, high volumes of traffic on the river/piers & river closures issued by the Port Authority. Any description of food and drink that will be available is an outline of what is usually available on-board during the event, the food & drink available is subject to change without prior notice. Should a product become unavailable we will endeavour to provide a suitable alternative. We do not allow any drink to be brought aboard the boat. The crew are authorised to confiscate any alcohol that is found. Any fireworks display described is not provided by Viscount Cruises, if a display is cancelled Viscount Cruises Ltd. hold no responsibility. Should a display be cancelled we will operate a “party cruise”. Any view of a display is subject to navigation restrictions enforced by the Port Authority. The vessel is not wheelchair accessible. The vessel does not have a disabled toilet on-board, the ramp leading from street-level to the boarding point can become very steep at low-tide and may be unsuitable for mobility impaired guests. Should the specified vessel become unavailable we will endeavour to provide an alternative. If an alternative is not available the cruise may be cancelled. There’s plenty to do in London during the Easter Holidays including cruises through the Thames Flood Barrier. 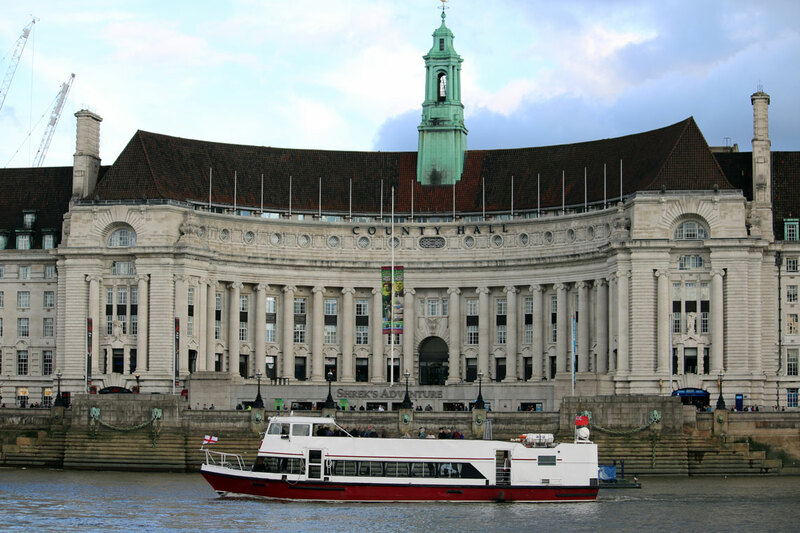 The Thames River Services Summer Timetable returns on the 1st April 2019 & cruises to the Thames Flood Barrier will operate daily until late October 2019. Subscribe to our Mailing List to stay up to date with our latest news, events & special offers. Don't forget to stay up to date on social media. Subscribe to our mailing list to stay up to date and receive our latest special offers and exclusive discounts.